“All In Event Management” was born out of a pocket pair of ACES. In 1999 the company’s founder decided to invite 20 of his friends over for a “Las Vegas” style poker tournament. A poker table was rented, and a second fashioned from a dinning room table. The evening went well, and the host found himself heads up at the final table. Pocket Aces held up and his first ever tournament was arranged, hosted, and won!! Over the next few months the crowd who had enjoyed the event hungered for more and larger tournaments were created. They had to be moved out of the house and into venues that could house more than just 2 tables. An investment was made that would change the future for good. Several tables were made so that rentals were no longer necessary, and pretty soon people started inquiring about having tables brought to their own poker parties. In 2001 the company’s founder had generated enough interest and event bookings that he created “Holdem for Hire”. Business generation grew to the point where major events were undertaken sending winners to the coveted “World Series of Poker” to play. Some celebrity contacts were even made that aligned “Holdem for Hire” with several NHL players for their fundraising efforts. These endeavors took “Holdem for Hire” all over southern Ontario, as well as destinations as far as Prince Edward Island, and Barbados to run charity style fundraisers with the world’s newest most captivating sport. (Poker). The Company is now called “All in Event Management” and now far transcends poker into a world of fundraising event management that cannot be matched in service, class, style and expertise. We are run and staffed by the industries most seasoned experienced professionals. We now house over 60 Gaming tables of all kinds and have helped raise over 8 Million dollars for various charities like “Leukemia Lymphoma”, “Arthritis Society”, “Breast Cancer Research”, “Sick Kids Hospital”, “Ronald McDonald House”, “Alzheimer’s”, “Canadian Spinal Chord research” ,”Street Kids International” and countless other children’s athletic programs from Soccer clubs to Hockey associations, to Dance Studios and for those in dire need. 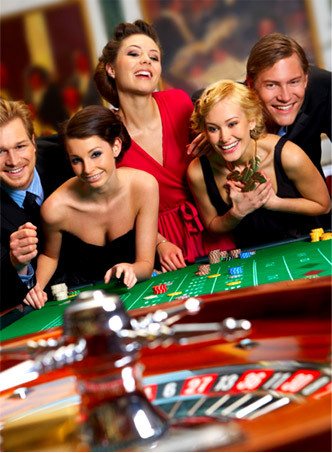 Using gaming style fundraising events is a formula for profitability and success. Let us show you just how easy it is. We are proud quite simply “do it the best” and we look forward to meeting your event challenge head on, whether it be a stag party, fundraiser, corporate team builder or private function.